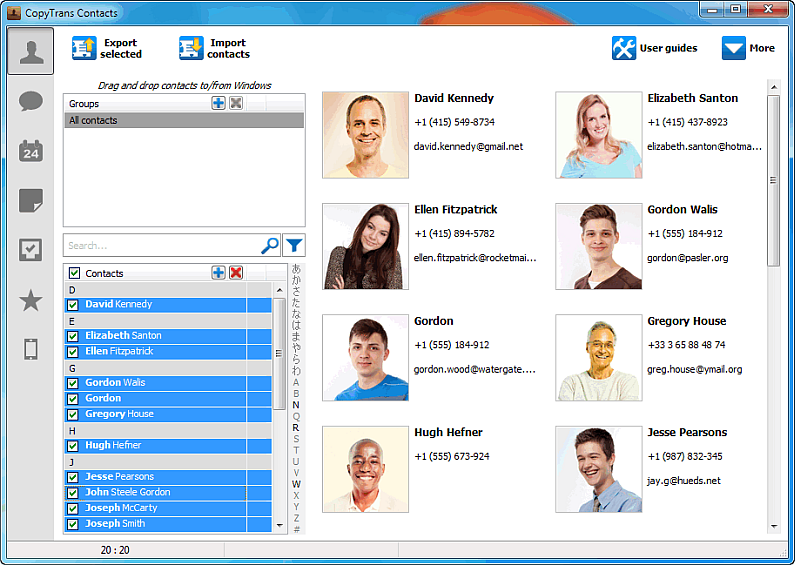 Home » How to import iPhone contacts to Skype? 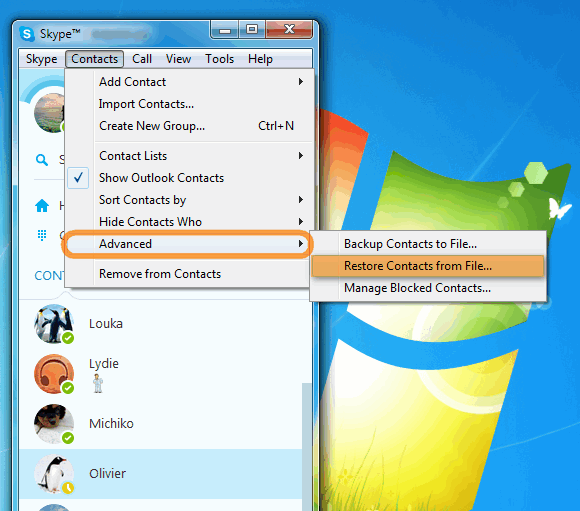 Until now, there was no easy way to add iPhone contacts to Skype for Windows. Instead, you needed to manually enter every contact number by hand. CopyTrans Contacts comes to the rescue and helps you automatically import all iPhone contacts to Skype on PC in a few clicks. Here’s how. Start CopyTrans Contacts and connect your iPhone. Let the iPhone contacts load in the main window. 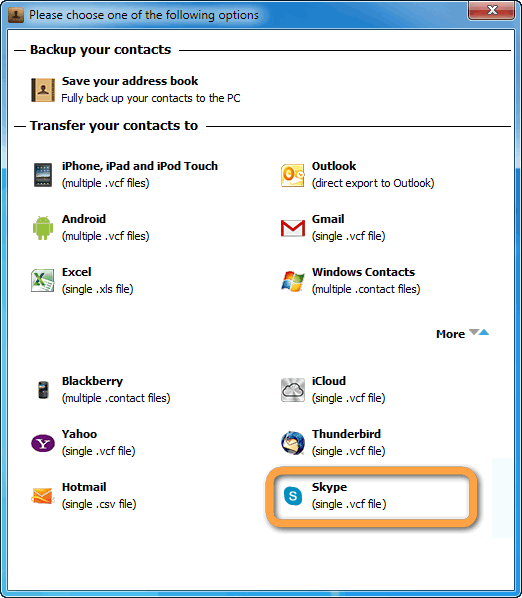 Select the contacts you want to transfer to Skype by checking the box next to each entry. To select all contacts at once, check the box next to “Contacts”. NOTE: before exporting, make sure that all the selected contacts have phone numbers including the country code. This is important because Skype will not import contacts that do not feature a phone number or a country code. 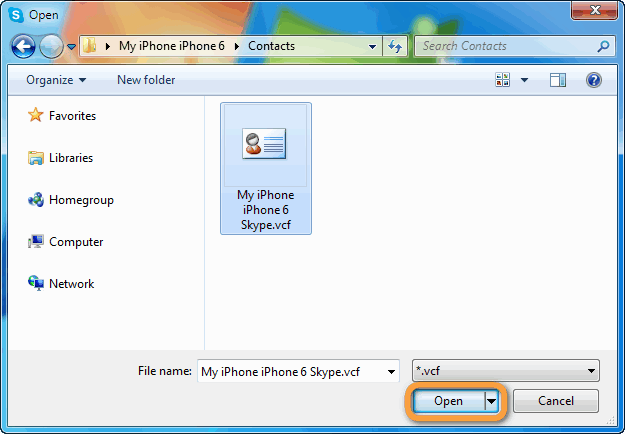 Choose “Skype (single .vcf file)”. Select the PC location where to export the iPhone contacts and click OK. 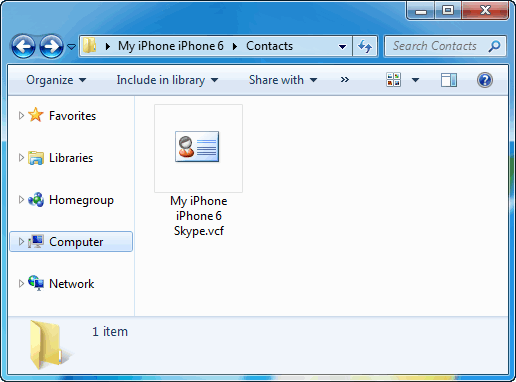 The selected iPhone contacts are copied to a single VCF file that Skype on your PC can read. On your computer, run Skype and log in to your Skype account. 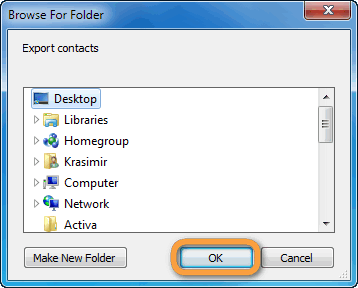 Navigate to the location where you saved the VCF contact file containing the iPhone contacts, select the file and click “Open”. The iPhone contacts are added next to the already existing Skype contacts. 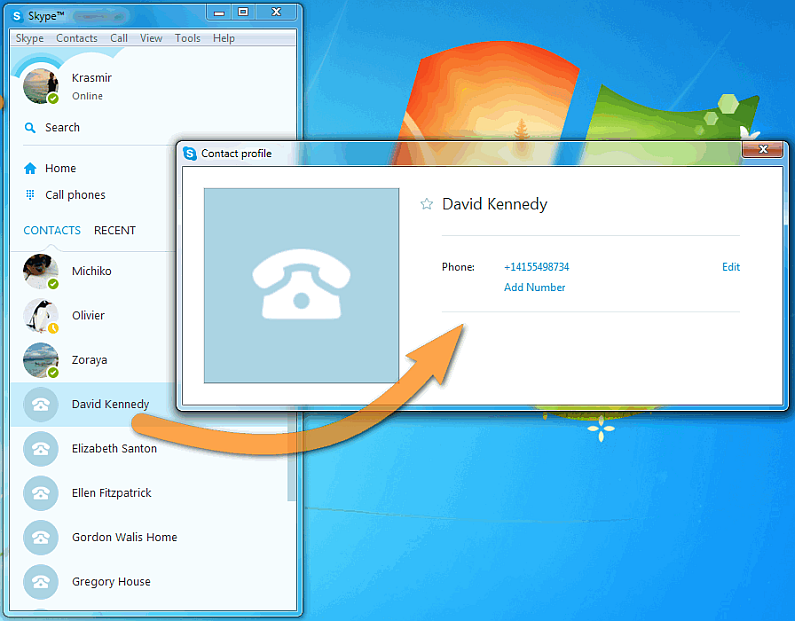 This is how to add iPhone contacts to Skype for PC.